1. LDA model electric hoist overhead crane is improved and designed on the basis of LD model overhead crane. 2. This overhead crane is characterized by more reasonable structure and higher strength steel as a whole, the main beam and end carriage are made by U-section steel frame. 3. This overhead crane is used together with CD1/MD1 model or HC/HM model wire rope electric hoist as a complete set. 4. This overhead crane is medium duty class overhead crane, the capacity from 1ton to 20 tons. The span from 7.5m to31.5m, the working grade is A3. Working temperature within -25 to +40 centigrade. 5. 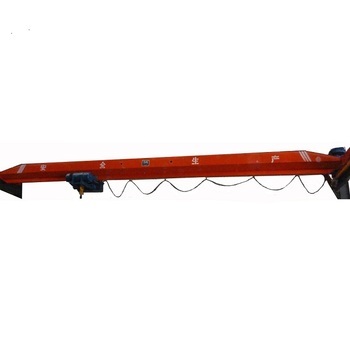 This overhead crane is widely used in plants, warehouses, material stocks to lift goods. It is prohibited to use the equipmenmt in the combustible, explosive to corrosives environment.